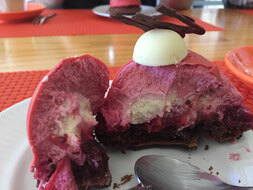 On the weekend I was lucky enough to sample a simply stunning dessert, as part of the Prom Local Country Dish Competition. Jaci Hicken, from Jacican in Mirboo Nth created this for the competition using local produce and it will be available at her food studio for the rest of November. 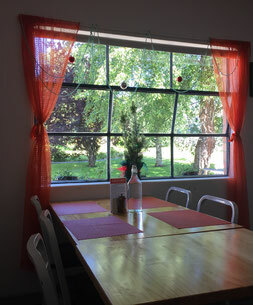 Jaci's food studio focuses on food, meals and produce from and in the Gippsland region, as well as holding high teas, private functions, and cooking classes for both adults and school aged children. We had a lovely time with Jaci, who also took us for a welcoming wander outside in the sunshine, where we gazed upon the food produce in the garden, and met "Barbara" the goat. 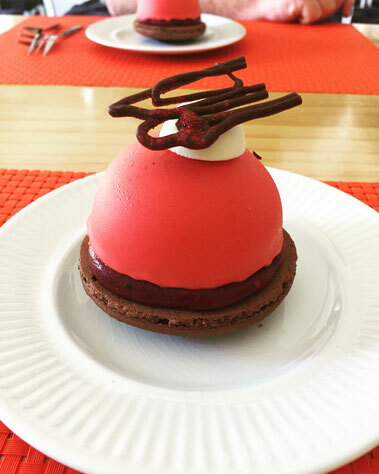 Jaci's dessert, that she named the "Heart of Gippsland", is a berry and white chocolate dome atop a chocolate beetroot macaron, lightly covered with a decadent strawberry chocolate. The Prom Country Local Dish is a friendly food competition that aims to promote local eateries and local produce. It involves local eateries to work alongside local producers to create dishes that uses a minimum of 60% local food ingredients. If you like the dish, then give it a vote online at www.localdish.com.au and go into the draw to win one of four terrific prizes. Using South Gippsland berries and beetroot from her own vegatable gardens. 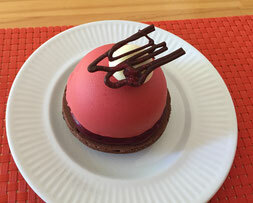 Jacican Food Studio is open Sundays for High Tea. As part of the Prom Country Local Dish competition.